Is it possible to have a fireplace in our home even if we don't own a chimney? 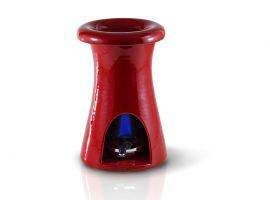 With a Bioethanol fireplace it's a child's play. 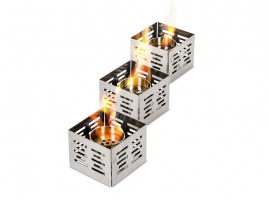 They are of simple installation and these bioethanol fireplaces could be placed very easily from a room to another. The bioethanol fireplace is eco-friendly and wholesome: in fact it doesn't produce toxic substances for the organism and the environment. His fuel, the bioethanol, is entirely made of natural substances which are obtained by the scrap of the food industry which work with highly sugary vegetables as barley, beetroot and corn. Infabbrica has selected for you functional and aesthetically pleasant bioethanol fireplaces: some of them have a modern design rich of style, others a simple and linear style but some others deserve particular attention: these are the bioethanol fireplaces which are handmade, realised with 2 firings. 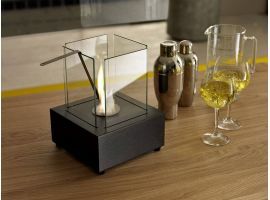 A bioethanol fireplace decorate with warmth every room of the house, whether the living room, the bedroom or the kitchen, it heats and give an extra touch of style to the interior design of the house. The bioethanol fireplaces are ecological and wholesome: they don't produce neither smells of every kind nor toxic smokes, only a minimum quantity of carbon dioxide necessary to the combustion. Moreover they don't produce soot or fine dusts and so the environment is cleaner. 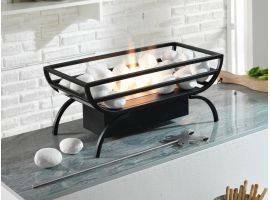 All this is possible because bioethanol fireplaces don't use sulphur but a totally biodegradable fuel, that is the bioethanol which is obtained from the scrap of food industries. These vegetal scrap contain in particular an elevated quantity of sugar which comes from food as barley, beetroot and corn. The bioethanol is afterwards an ecological and renewable fuel. The bioethanol fireplaces are for sure a choice to take into account, not only for their ability to heat the ambience, or for their ornamental aspect, but also, especially, to safeguard environment that is for sure the most important element above all. The fact that the bioethanol fireplaces are so wholesome, allows you to position them, beyond doubt, also into the bedroom. Furthermore, you don't have to worry for your children's or animals' safety, because the flame is stable and it doesn't produce sparks. 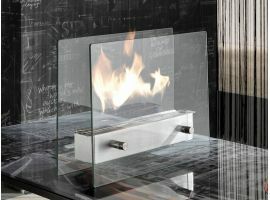 The majority of bioethanol fireplaces has the hearth protected by e tempered glass. 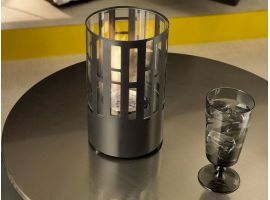 The bioethanol fireplaces that Infabbrica is offering you are of different types: table fireplaces are smaller and appropriate to be positioned on shelves or moved from a room to another; floor bioethanol fireplaces are an important element of decor, perfect to give an extra touch of style to your house; wall bioethanol fireplaces are those which are more similar to the traditional fireplaces with the difference that they don't need neither a chimney nor an expensive installation. On the contrary, installing a wall bioethanol fireplace is very easy: it is sufficient to fix the plank to the wall with screws and then fix the body of the fireplace to the plank. With the wall bioethanol fireplace you'll have the comfort to own a fireplace without being forced to make big changes to your home, a difficult thing to do if you are on rent and you don't own a house. The Infabbrica catalogue offers you different models of wall bioethanol fireplaces, and you can range between different styles: from that simple and elegant, to that smaller which adapts itself to a limited ambience, to that avant-garde, characterized by a contemporary style. If your choice fells upon a wall bioethanol fireplace, you'll have an embarrassing wealth of options to find the fireplace which fits more on your tastes and on your interior design! 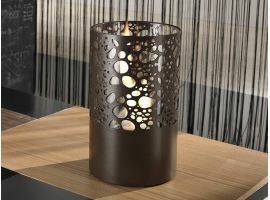 Floor bioethanol fireplaces are decor accessories which are getting noticed and which add style to your home. 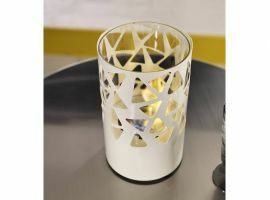 In fact, the floor bioethanol fireplaces that Infabbrica is offering you, have a charming design: it is quite impossible not to find the perfect fireplace for your home having a wide selection between modern fireplace with minimal style and those handmade with an ethnic and coloured design. Floor bioethanol fireplaces lend warmth and positive energy to the ambience, because the flames, beyond the fact that they actually heat up the environment, they create a warmly, emotional atmosphere that makes you feel home. Some of the floor bioethanol fireplaces that are on the online catalogue of Infabbrica could be easily moved from a room to another, some others need a simple installation on the floor. They could be placed on the wall or in the middle of the room. The fireplaces that we have chosen are functional and have a charming design. One thing is sure: any floor bioethanol fireplace that you're going to choose is going to get noticed very well in your home! 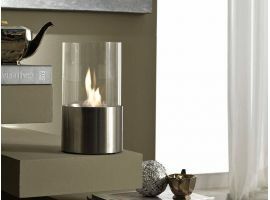 The price of bioethanol fireplaces are for all budgets: it goes from a range of 30 euros onwards, depending on the size of the models. The cost of the fuel, the bioethanol, gets round from 1.5 to 3 euros per litre depending on the capacity of the burner and it burns for quite some hours. Furthermore, it is necessary to consider, that the maintenance that fireplaces need is not required and the installation costs are of zero value because you don't need a chimney. As said before, the warming capacity of fireplaces is remarkable: they heat in few minutes and spread warmth rapidly, bringing the temperature by few degrees, depending on the size of the room. Their efficacy is bigger in reduced rooms with a lenght under 40 square meters. 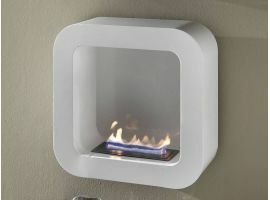 Do you need additional informations to choose your bioethanol fireplace? Infabbrica is here for any information you need, for advices and additional details, explanations on the practical functioning of the bioethanol fireplaces and to help you with the payment in case you'll need our help. Don't hesitate to contact us at info@infabbrica.it or call us at 0721 580999. 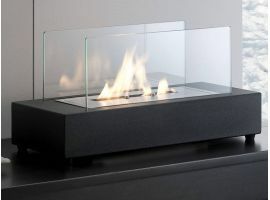 Our experts will make themselves available to guide you in all the phases of the purchase till the delivery of the bioethanol fireplace at your home. 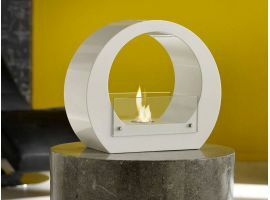 Remember that a bioethanol fireplace of design and quality will make your home be comfortable and welcoming. It will make you feel cuddled and relaxed. To top it all, the air that you're going to breathe will be without toxic smokes, healthier for you and for the environment!